As well as being reliable and excellent communicators, we’re also incredibly versatile. 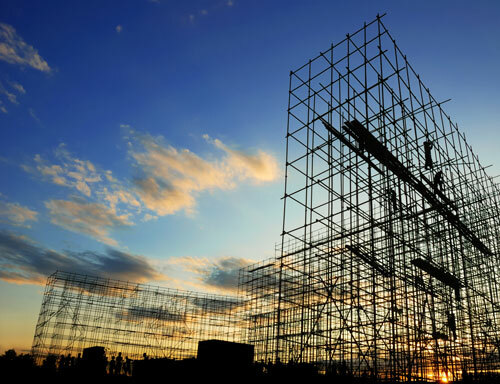 If your site requires scaffold for long straight runs or something more complex with many angles, returns and hard to reach places, we’re the scaffolding company for you! We carry both all-round system scaffold which is great for those straight forward jobs as well as tube and clip which provides great flexibility and adaptability meaning we’ll always be able to get you to those hard to reach places. Our diverse experience and can-do attitude means we have the skills and experience to come up with a method to tackle your job regardless of its size or complexity.